Manhattan Dermatology always appreciates feedback from our valued patients. To date, we’re thrilled to have collected 44 reviews with an average rating of 4.98 out of 5 stars. 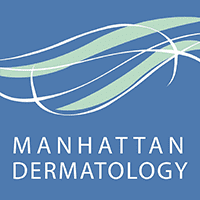 Please read what others are saying about Manhattan Dermatology below, and as always, we would love to collect your feedback. Dr. Wendy Mitchell is first class all the way! I wish I found her a few years ago. Simply put, she is the best dermatologist I have ever gone to! Anyone would be fortunate to become her patient. she is a pleasure to have as a doctor. she answers all the questions that you ask and is easy to talk too. My experience with Dr. Long is always top notch. He's very thorough, caring and always very professional. I couldn't ask for more. Dr Long takes time and listens to you. She makes you feel important. I have been seeing Dr. William Long for over 30 years. He’s a wonderful doctor, attentive and thorough. The best! Dr. Levine is a great Dr., smart, approachable and responsive. Great doctor...very informative and always takes the time to sit down and go over all options available. Up to date with all new medicines. George and the entire staff at his practice are all lovely, attentive and first rate. As a long time patient, I highly recommend this practice for all dermatology needs. Excellent service as always. Everyone is courteous and professional. Dr. Long is a very kind and caring professional. Thanks so much Doctor. Alway happy with my experience . She a great doctor! Excellent care, excellent attention, excellent physician. Dr. Defelice is an excellent doctor. I highly recommend her. I had my first visit with Dr de Felice last week. I was very impressed with the friendly office staff who met me and by the fact the appointment was exactly on schedule. Dr. de Felice was very attentive to my questions and concerns and when she was explaining what the screening involved it was easy to understand her way of describing what she was looking for. I am a very satisfied client.